I have found an (almost empty) bottle of Jaffa Juice in the bottom of my garden. 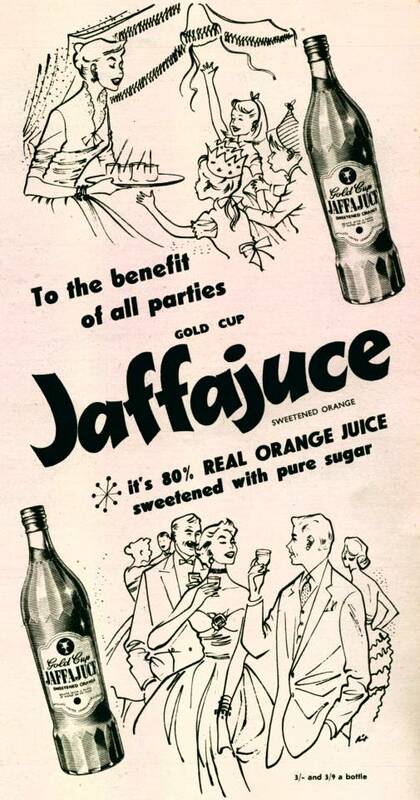 We have been planting trees in our garden and have just unearthed two Jaffajuce Gold Cup bottles. It was nice to see the advertisement especially because it came out in the year of my husband's birth. Thank you.